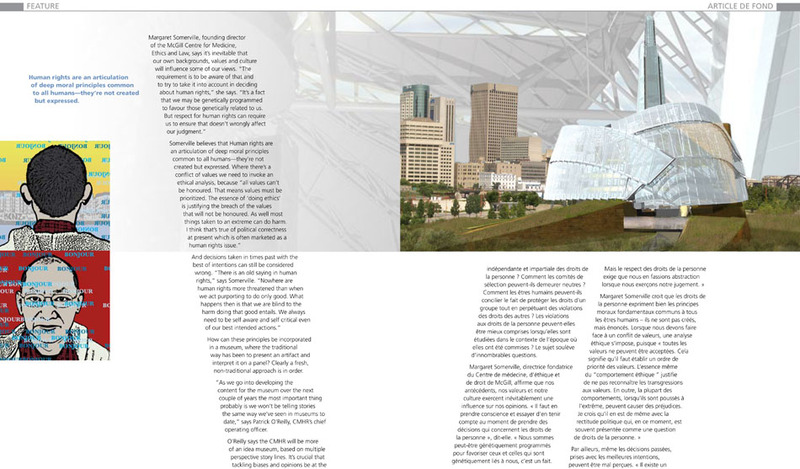 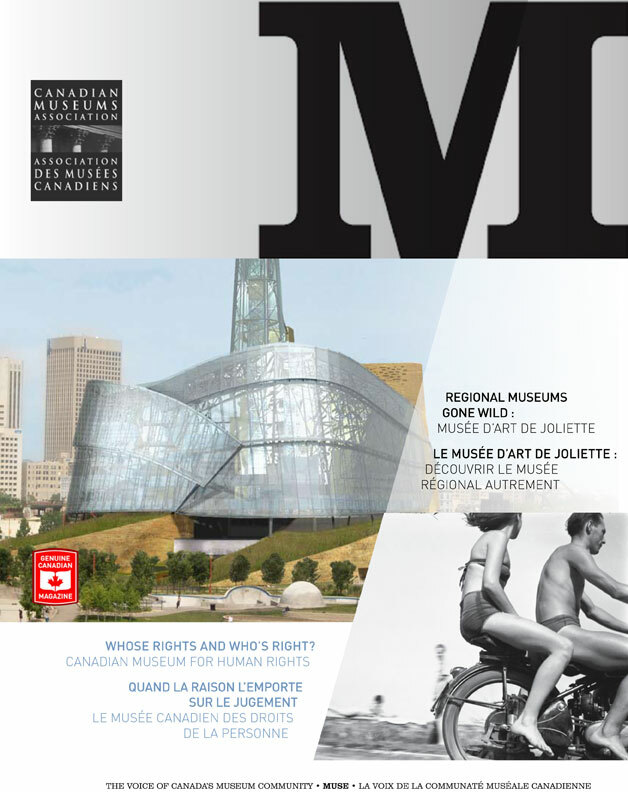 The Canadian Museum Association commissioned Scott as a guest designer for two issues of its flagship magazine Muse. 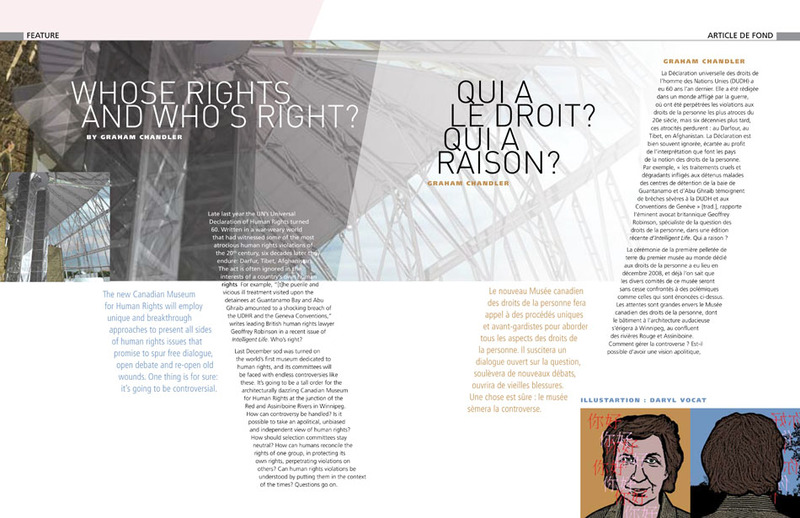 Scott used a very contemporary asymetrical swiss layout to create present both languages in a spacious layout. 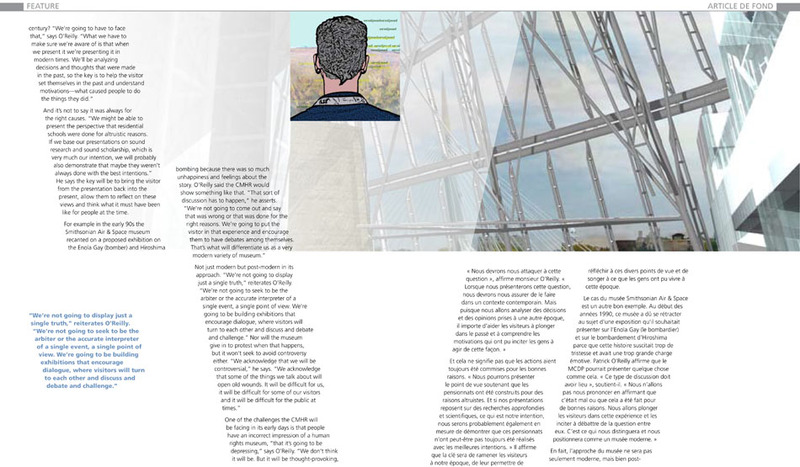 This layout refelcted the modern content and invited the eye and engaged the reader to explore the subject matter on a deeper level. 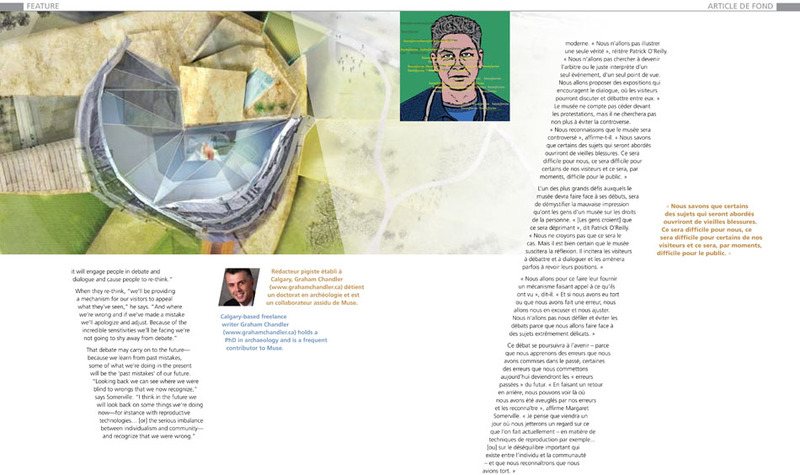 Scott worked with illustrators to further enhance the feature article. 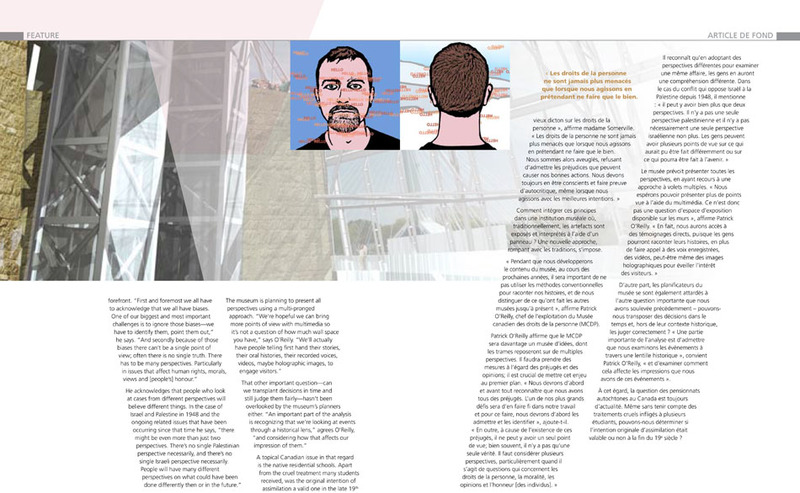 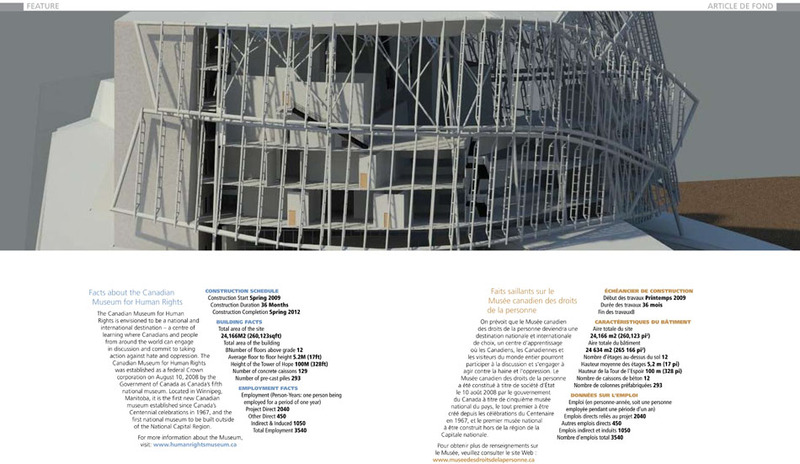 Products: Magazine art direction and layout.